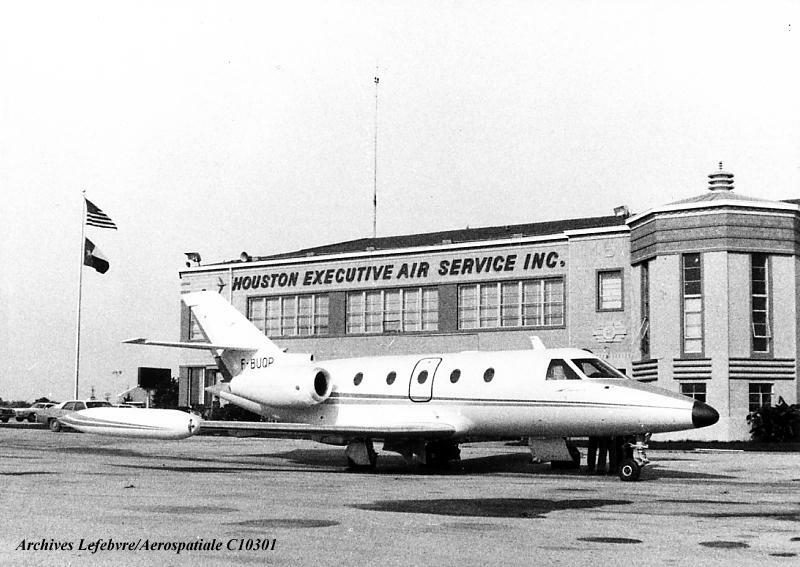 Caption: Aerospatiale Corvette N°4 ( aircraft 3 and 4 without C/n existed to sustain static test in the CEA specialised establishment of Toulouse) F-BUQP in USA to promote the new type. Later Corvette F-WUAS became F-BUAS, N°2 was F-BRNZ and N°3 was F-BUQN. The day where Corvette 1 and 2 flew over French coasts, on 7 March 1973, Aerospatiale also announced that an order for 70 aircraft had been signed with the company U.S. CORVETTE created by three businessmen including the famous William P. Lear but the company was not at all linked to Lear Corporation manufacturing the Learjets. Total of orders were then for 76 machines... To day, future being perfectly known, only 40 SN 601 Corvettes were built...!! !